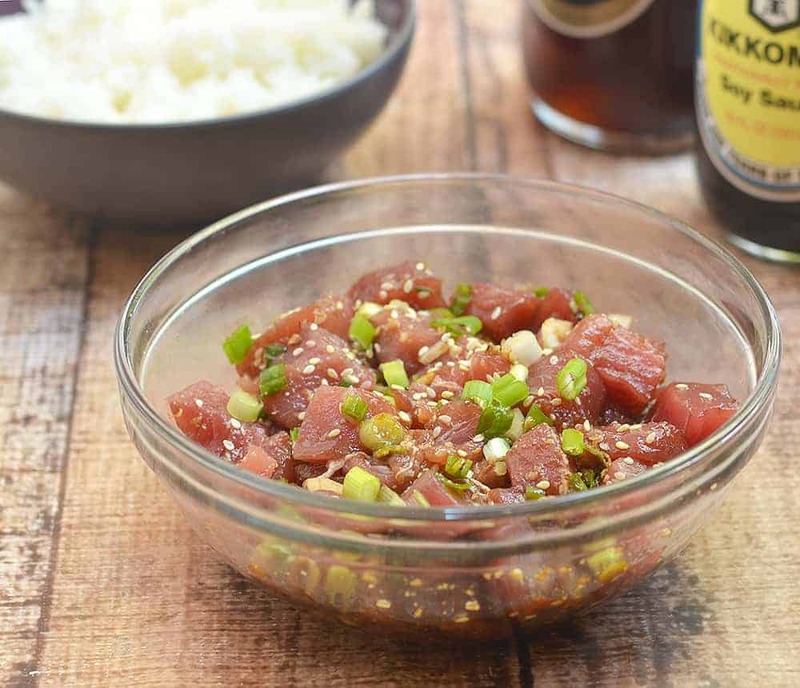 Ahi Shoyu Poke is a Hawaiian raw fish salad made with fresh ahi steaks, onions, macadamia nuts, and soy sauce. 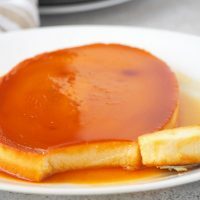 It’s a refreshing and healthy meal perfect over sushi rice. We’re still a few weeks to summer but our Southern California weather is already starting to bring in the heat. Temperatures get pretty some days just thinking of standing over a blazing stove to whip up a hot meal makes me want to jump out of my skin! 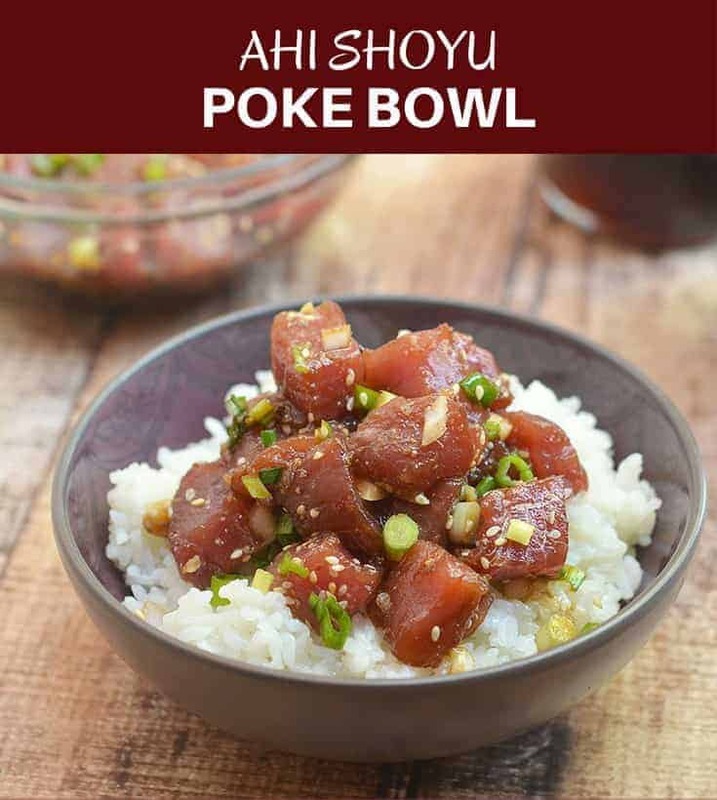 Any dish that will have me out of the kitchen in 20 minutes or less is golden in my book and ahi shoyu poke, with its simple ingredients and easy steps, is definitely becoming a fast favorite. Poke shops have been cropping up all over our neighborhood and they’ve certainly fueled my growing love for this Hawaiian delicacy. 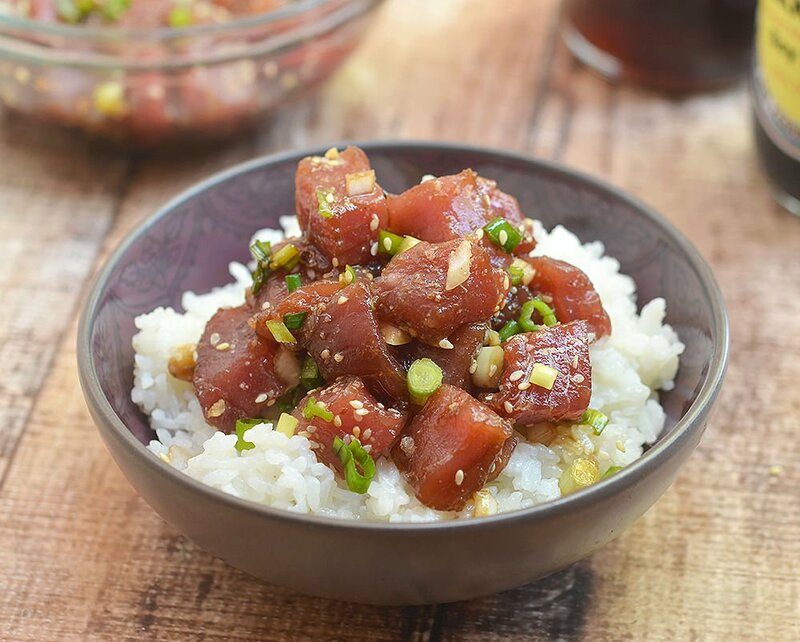 Poke, which means “to cut into pieces” in Hawaiian, is one of the easiest dishes you can make. 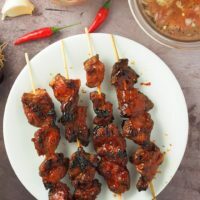 All it takes is slicing the fish fillet into cubes and then tossing the succulent morsels with your choice of poke seasonings. I used a delicious mixture of soy sauce, sesame oil, green onions, sweet onions, crushed macadamia nuts, and sesame seeds but furikake (this is an affiliate link), fish eggs (roe), dried chili pepper flakes, ponzu sauce, and sea salt are also common add-ins to kick flavors up a notch. 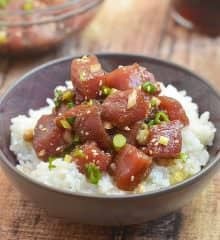 Tuna poke is usually served as an appetizer as well as an entree piled over sushi rice. If you love the bright, fresh taste and soft, velvety texture of raw fish, this island staple is a must try! 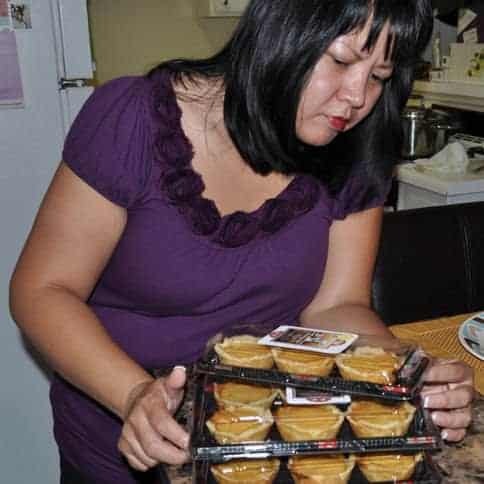 Since this is a RAW dish and doesn’t have the benefit of cooking, I can’t stress enough the importance of using high-quality ingredients. Please procure your fish from a reputable vendor and practice proper handling to ensure food safety and best results. 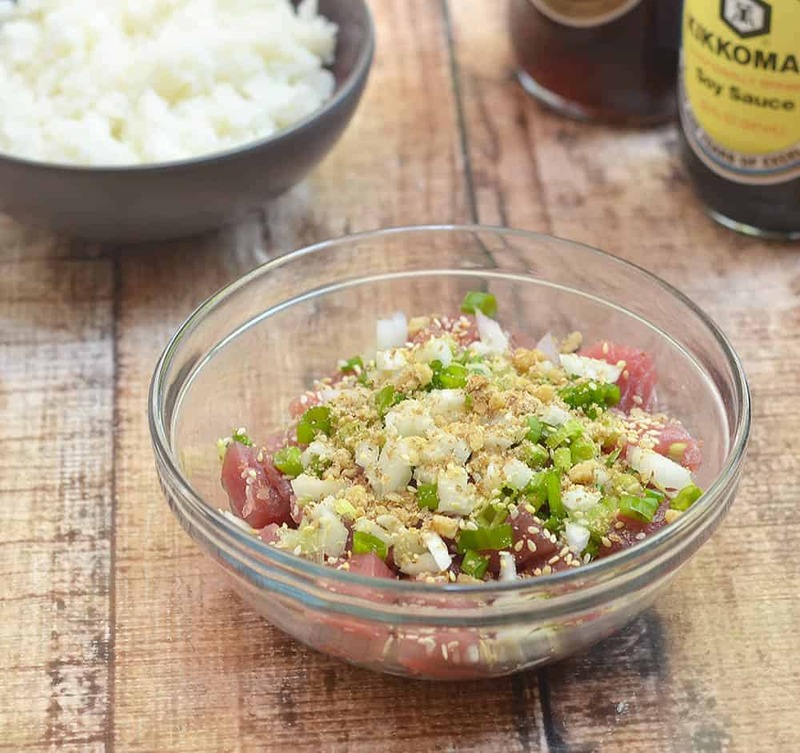 Ahi Shoyu Poke is a Hawaiian raw fish salad made with fresh ahi steaks, onions, macadamia nuts, and seasonings. 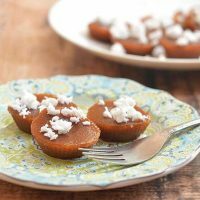 It's refreshing and healthy meal perfect as an appetizer or entree served over sushi rice. In a large bowl, combine tuna, green onions, Maui onions, macadamia nuts, sesame seeds, and ginger. Add soy sauce and sesame oil. Gently stir until combined. Season with sea salt to taste. 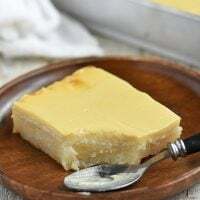 Refrigerate for about 2 to 3 hours or until chilled before serving. 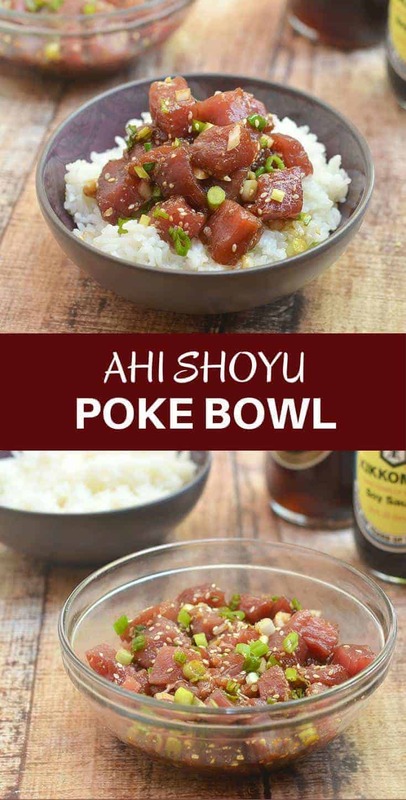 Serve poke over bowls of rice.